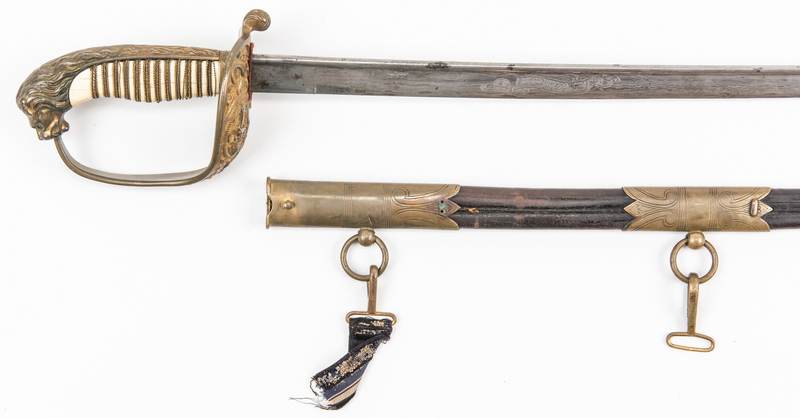 German Eisenhauer Imperial Naval Sword with leather scabbard. 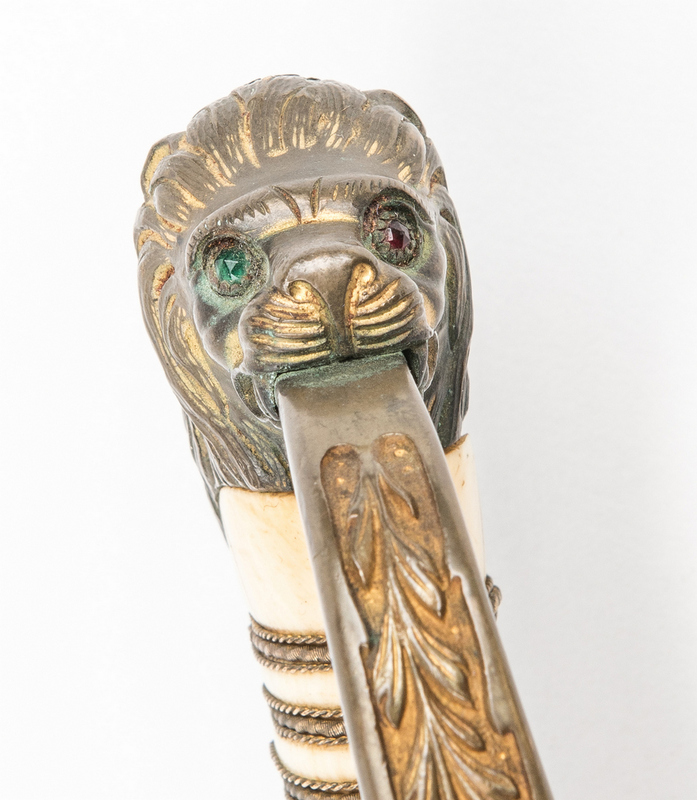 Elfenbein grip wrapped in triple brass wire, brass D guard combination basket hilt, the pommel in the shape of a lion's head with glass eyes, one red and one green, the guard with foliate and naval motifs. Damascus Maiden Hair pattern blade with traditional quill back design. 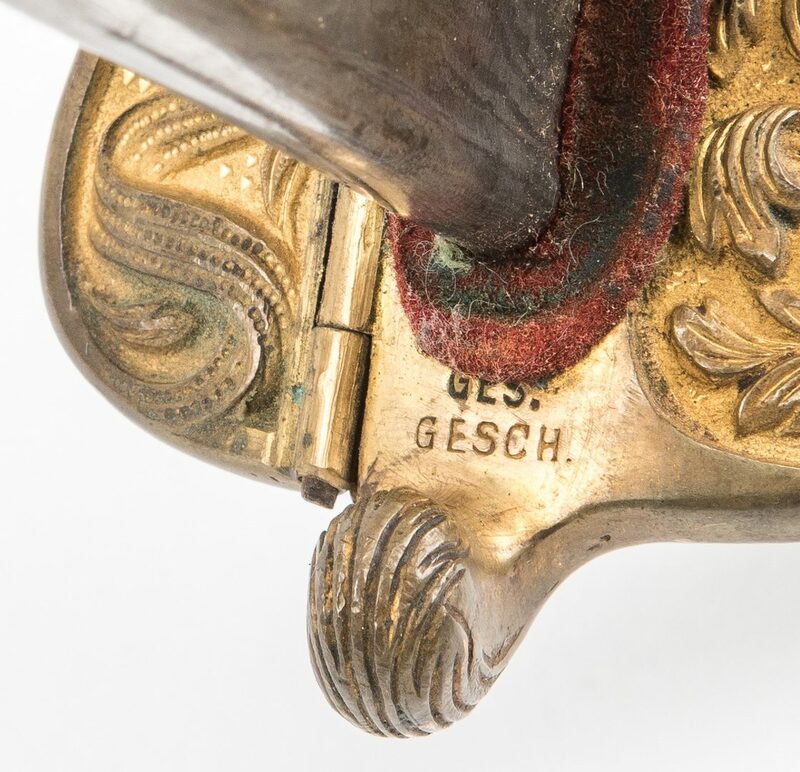 The folding flap on the reverse of the hilt professionally engraved "Dr Willige", cross guard marked "GES./GESCH. 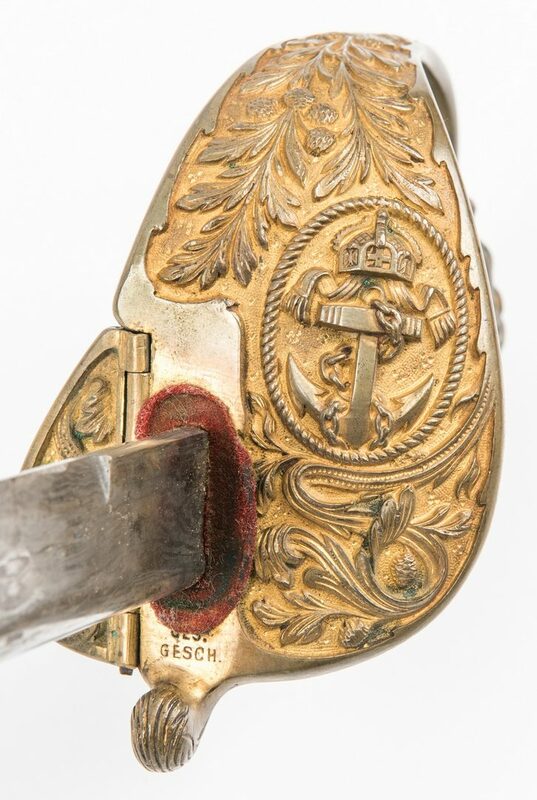 ", blade marked "Ercht Eisenhauer" in a banner. 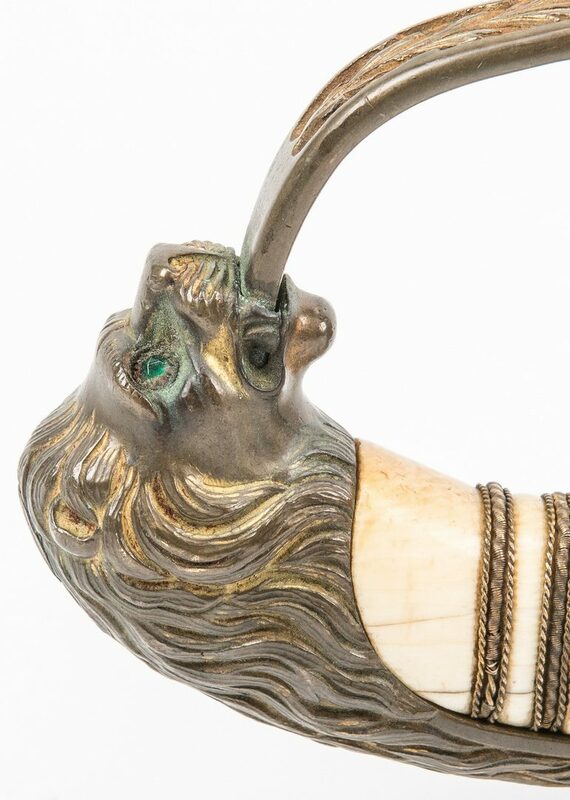 Includes black leather scabbard with brass mountings engraved with traditional Naval designs and two carrying rings. Blade length – 30 1/2". 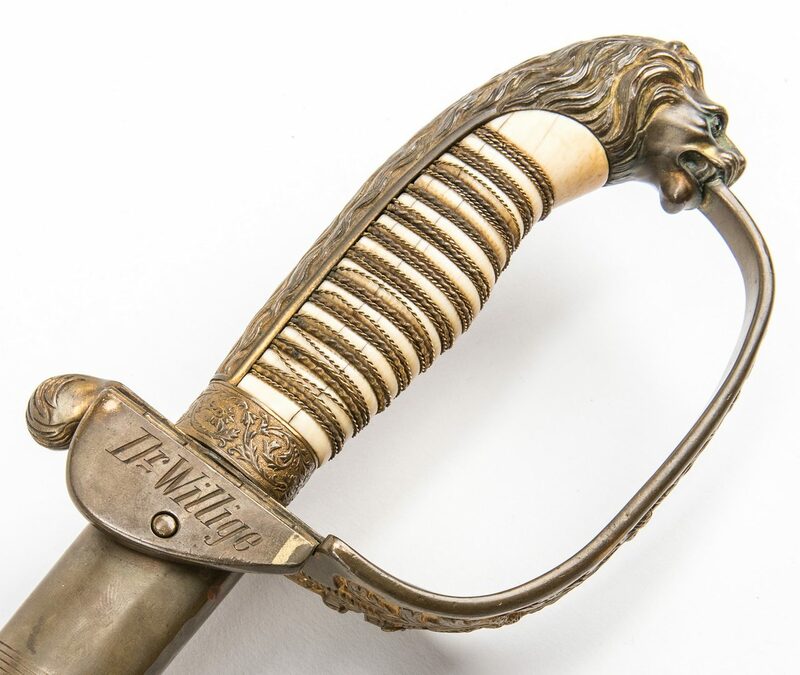 Overall length with scabbard – 36 3/4". Late 19th/early 20th century. CONDITION: Overall good condition with light pitting to blade. 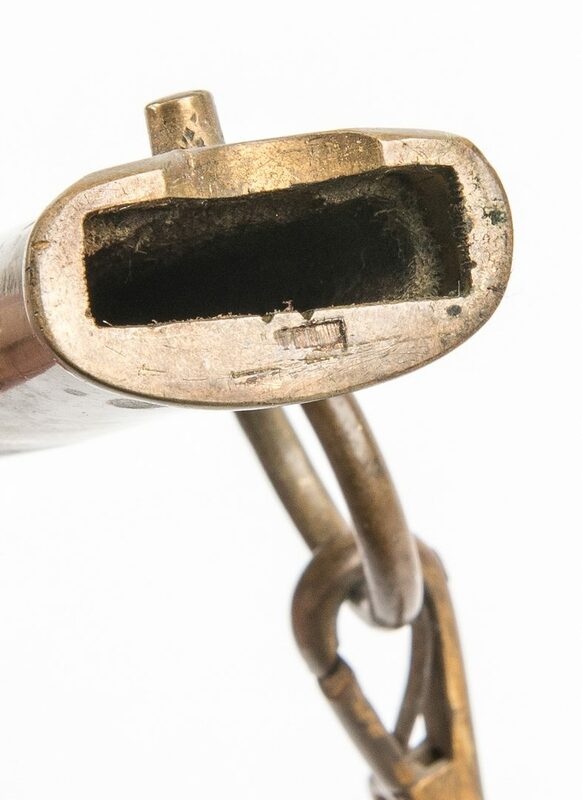 Areas of tarnish to brass in recessed areas of guard. 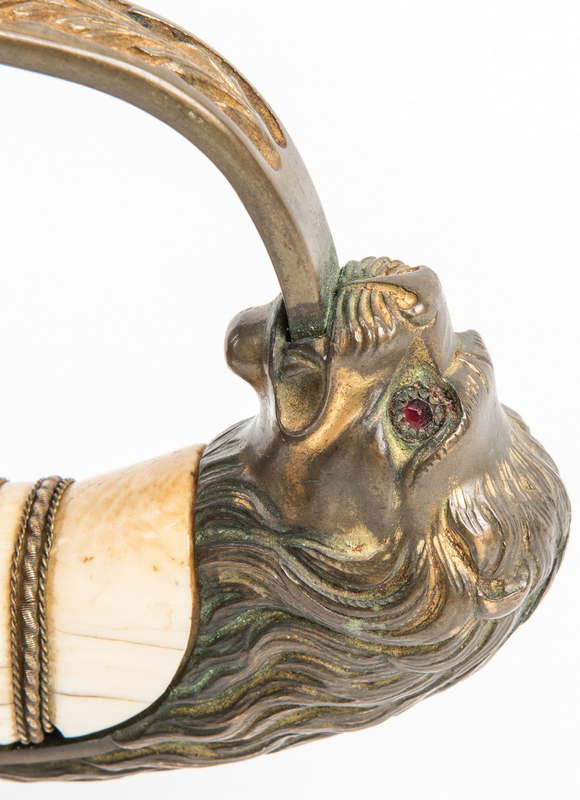 Top brass mount to scabbard is loose. 2 1/2" x 1" fragment of a navy blue and off white linen shoulder strap attached to the top carrying ring.